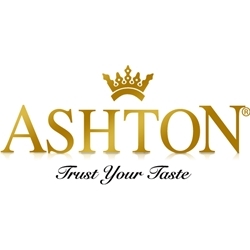 Ashton cigars is ranked in the cigar industry as one of the world's finest premium cigar brands on the market. Every Ashton hand-rolled premium cigar is crafted individually by highly skilled cigar rollers at the legendary Tabacalera A. Fuente factory in the Dominican Republic. Ashton premium cigars are infused with the finest tobaccos blends in the Dominican Republic. Each of the hand rolled cigars listed below in our online cigar store, are wrapped up perfectly with careful selected tobacco wrappers ranging from smooth and creamy US Connecticut Shades and Connecticut Broadleafs to zesty Ecuador Habano Cameroons. All grown and harvest locally in the Dominican to produce a mild, yet flavorful smoking experience that’s relaxing and enjoyable. These elegant premium cigars can be delivered right to your doorstep, and Smokers Discounts can make that happen! We’ve made it easy and affordable to buy premium cigars online. A variety of sizes and flavors are listed below. Each of these styles are in stock and available at incredibly low discount prices! Call us for more details!